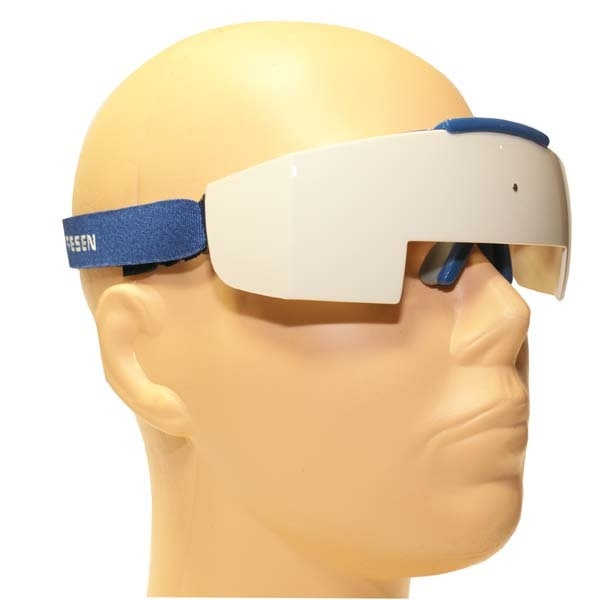 These IFR Flip-Up Training Glasses replace those bulky, hard-to-use instrument training hoods. With improved design, JeppShades allow for better student/instructor interaction. The cockpit proven design works conveniently under headsets and the Velcro (TM) adjusting strap reduces pressure on ears and temples. The JeppShades flip-up lens allows convenient IFR/VFR flight transition, and the high quality polycarbonate lens is impact resistant.